This volume, covering three years from March 1924 to March 1927, comprises over 890 letters, of which about 350 are previously unpublished. In 1924 Lawrence is again in the USA. He and Frieda, with his disciple the Honourable Dorothy Brett, return to Taos, New Mexico where Frieda soon becomes the owner of a ranch, Kiowa. 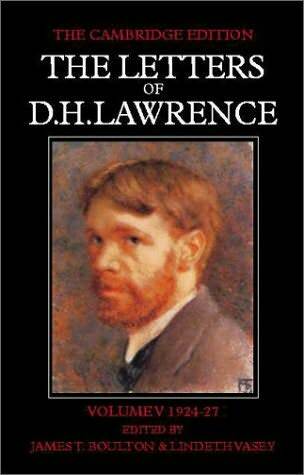 The tensions among them contribute to Lawrence's falling dangerously ill. He recovers at Kiowa; he and Frieda go to England and Germany in Autumn 1925; they then settle in Italy, where - except for his final visit the next summer to the Midlands - they remain. After leaving the USA he writes short and long stories with European settings, book reviews, and the first two versions of Lady Chatterley's Lover. It is a productive period, but Lawrence's health becomes a serious concern. The volume provides annotation identifying persons and allusions, and includes a biographical introduction.